As part of the blog tour the author asked us to share a promise we or someone in our family had made to segue into our review of her book “Promises”. To me, I believe promises should not be made unless the intent is to keep them. I see too many people today make empty promises. I am not one of them. I take promises very seriously, especially promises made to children. I am ashamed to say that years ago I was a smoker. 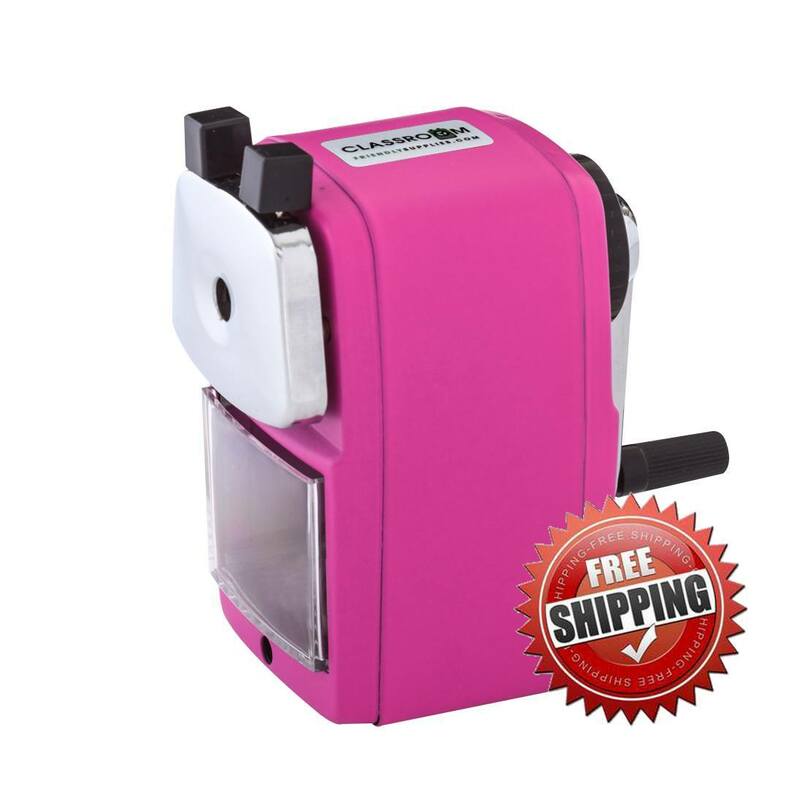 When my husband and I divorced it bothered my children that I smoked. I kept telling them I would quit. When they asked me when, I would reply, “soon”. They were used to their father making promises and breaking them. I refused to let them down in that way. My son once again asked me when I was going to quit. I told him when I finished the pack I had, I would quit. He said those three magical words, “Do you promise?” I said, " yes I do". I had a headache and laid down for a nap. When I woke up I found my cigarettes in tiny pieces in the ashtray. My son and his best friend told me that I was finished. He finished with, “You promised!” That was the end of my smoking. Because of their father’s ability to break promises so easily, I had decided that I would never hurt them by breaking a promise to them. When my children need something special from me they always end it with, “Do you promise?” They know that I will keep my promises. It is the same with my students. They know I don’t throw promises around. To me promises are sacred. Hattie is barely twelve when her pa’s “business adventures” disrupt her family and move them to the new town of Tropic, nestled in the shadows of old Ebenezer Bryce’s Canyon. Her pa views the town as opportunity. Hattie is hopelessly shy and views it with apprehension; she dreads the task of making new friends. More than anything else, Hattie wants to be like her father-not afraid of meeting new people, talking to strangers, and standing up for herself. So it is with trepidations that she accepts her pa’s challenge and promises to make new friends. I loved this book. I believe many of my students will enjoy it as well. I could really identify with Hattie. I was just like her. I wanted to speak up for myself, yet was shy enough and let myself be bullied and walked on for most of my life. I still don’t like conflict. I loved the fact that promises meant so much to Hattie. Her promises were driven by a desire to solve a mystery based on items she found in the house they moved into. I definitely understood how Hattie felt when they moved to their new place. That was exactly how I felt when we moved to Florida when I was fourteen. It was almost as if Carolyn followed me around as I grew up and had a microscope that showed her all of my thoughts and feelings. This book reminded me in many ways of the “Little House on the Prairie Series”, which was always one of my favorites. I will have no problem recommending this book to my friends. Pick it up and read it to see if Hattie solves the mystery and stops being everyone's doormat. She began college with a minor in journalism. When an instructor slashed her writing up one side and down the other, she decided she wasn’t cut out to be a writer –even though the teacher gave her an A, and told her that his harsh critiques were meant to prepare her for the real world. In 2006, as a participant in her neighborhood book club, she read a novel that bothered her immensely by its contents. 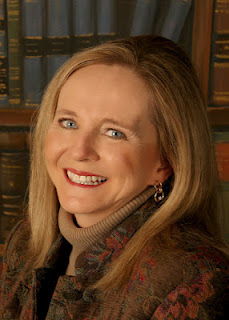 She thought, “I can write a better story than this!” Her love of writing was reawakened after twenty-five years of dormancy, and she immediately began her first novel, Fleeing Flagstaff. 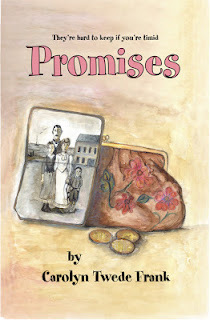 Promises is Carolyn’s first published novel. Carolyn currently lives in Utah with her husband and youngest daughter, where she continues to write and love life.